On her birthday and our anniversary, I also want to share on FB that my wife is best wife in the world. But I need some experience to make such an announcement. 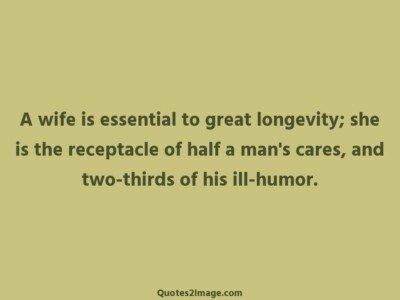 So for that, more wives are needed otherwise it would be hollow statement bereft of facts! The young wife, proudly to her husband, ‘My father always gives expensive presents. ‘ ‘So I discovered when he gave you away’, rejoined the young husband! 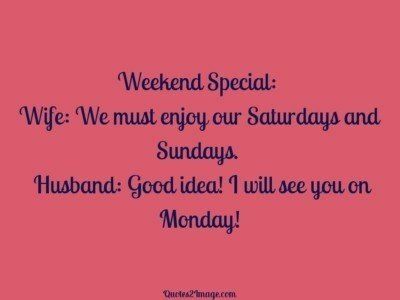 Weekend Special: Wife: We must enjoy our Saturdays and Sundays. Husband: Good idea! I will see you on Monday! Wife: Where have you been so late? Husband: Stop me if you have heard this one! Wife: As the weather is still cold, I should like to look at some furs. Will you come with me? 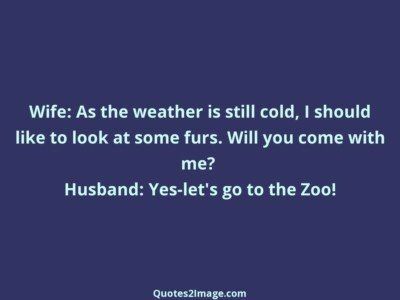 Husband: Yes-let’s go to the Zoo! 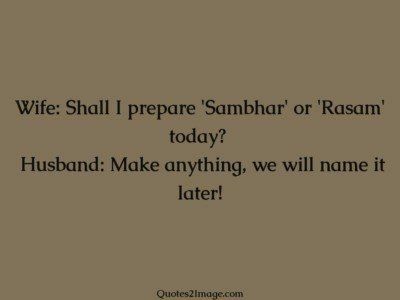 Wife: Shall I prepare ‘Sambhar’ or ‘Rasam’ today? Husband: Make anything, we will name it later! 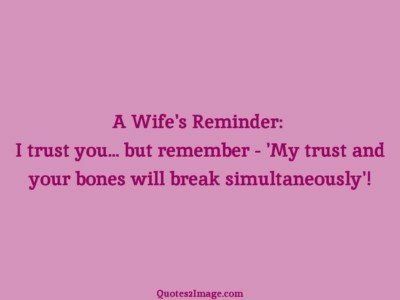 A Wife’s Reminder: I trust you… but remember – ‘My trust and your bones will break simultaneously’!